Cleared for Take Off. The all-new Delta Wing steps up to the next level of three-wheel action. 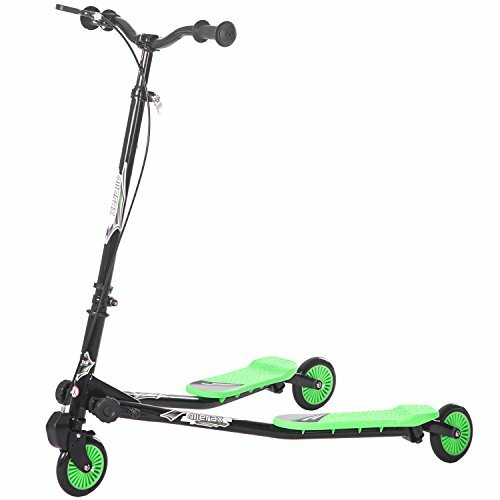 Its drop frame, large pneumatic front tire and low-angle rear casters make the self-propelled Delta Wing a powerful yet smooth side-to-side ride, to shred sidewalks and carve up the pavement in style. 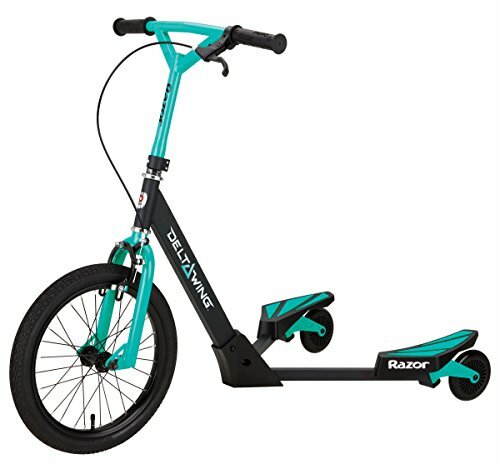 The Razor Delta wing features a steel frame with high-tech polymer wings, 2 piece "Y" drop handlebar, soft rubber grips, front, hand-operated brake, large 16" (406 mm) pneumatic front wheel, and rear wheels feature low angle trailing casters with large 125 mm wheels for drifting and spinning. 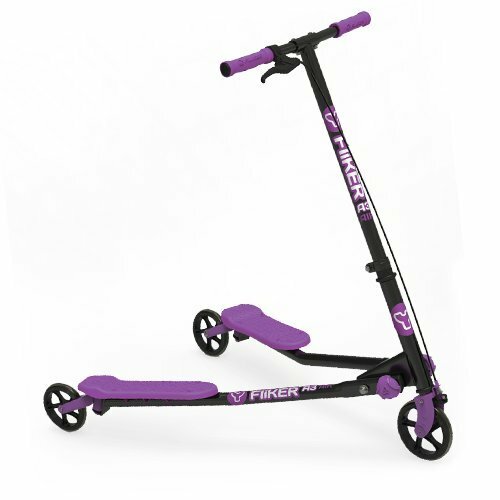 Recommended for ages 6 and older and will support a rider up to 143 pounds. The radical new way to ride. Wing it, drift it, spin like crazy. Standing or sitting, these awesome three-wheel machines produce a crazy ride style that's easy to learn. You'll be freestyling in no time. Rip it up with a Razor ride-on. Read and understand the enclosed owner's manual before riding. 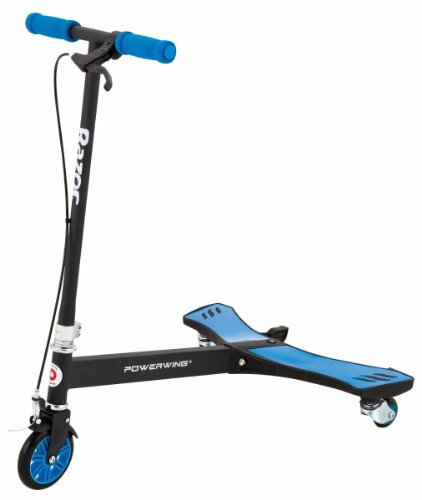 The buyer and rider of all Razor scooters are responsible for knowing and obeying all local, state and federal regulations regarding the riding and use of scooters. A totally rippin’ side-to-side ride! The three-wheeler is all grown up and ready to rock! The latest craze from Razor, the Powerwing is a totally radical new way to ride. Just move your body side to side– the awesome three-wheeled design gets you going and keeps you moving. Mastering sideways drifting and 360 spins is simple and fun, so hop on for some super freaky freestyle fun! For ages 6 and up. Maximum rider weight of 143 pounds. 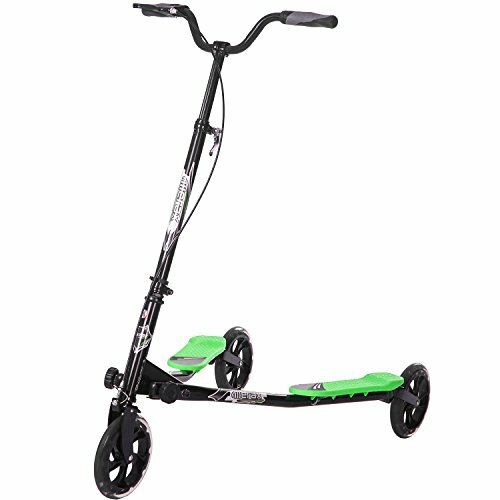 The buyer and rider of all Razor scooters are responsible for knowing and obeying all local, state and federal regulations regarding the riding and use of all Razor scooters. 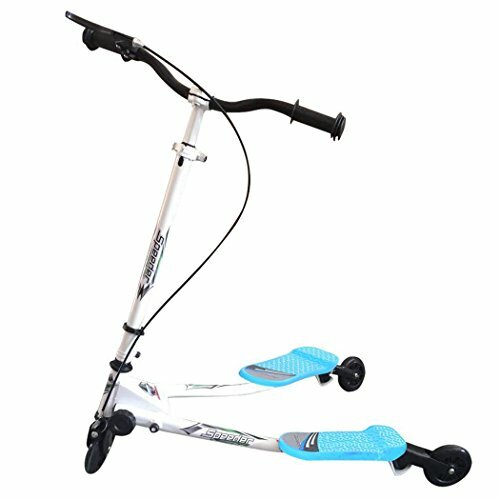 The Y Fliker F1.The original freestyle scooter! The Y Fliker F1 offers endless carving and drifting action for kids 5+. 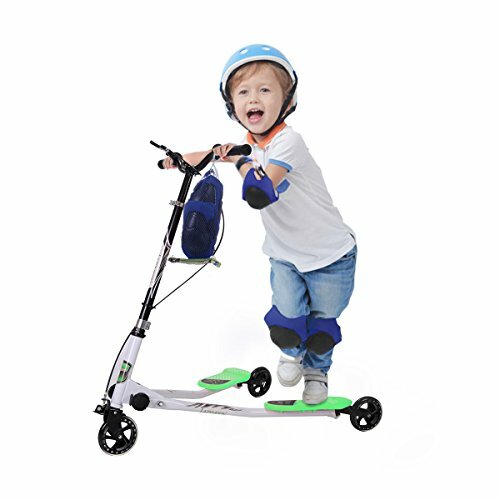 The quick response brake and enhanced ABS footplates offer loads of stopping power and grip for a really fun ride that's also safe and stable! 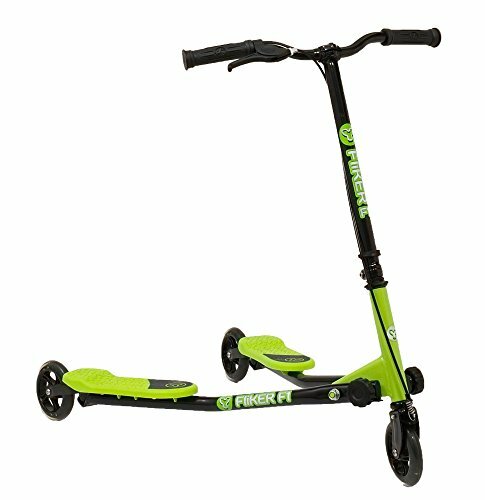 Outdoor Fun - Yfliker Series - speed and curves - perfect item for when the weather is nice and kids want to play outside. 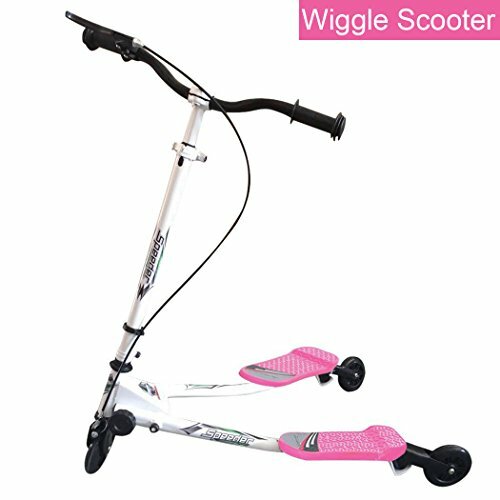 Copyright © Wholesalion.com 2019 - The Best Prices On Tri Scooter Online.